Gluten is an umbrella label for the proteins that are found in wheat, barley, rye and triticale (a wheat and rye combination). Gluten is typically found in bread, baked goods, pasta, and cereals, but it is often found in many more foods that you might not expect. You’d be surprised at just how many foods, especially off-the-shelf items from the supermarket, contain some form of gluten. Gluten sensitivity refers to a delayed immune reaction that may take up to 4 days to show a reaction. You might be surprised that one of those symptoms may not be gastrointestinal, although it can show up as that as well. Common symptoms of gluten sensitivity are fatigue, bloating, brain fog, swelling, joint pain, weight gain, skin conditions and headaches. If you suspect you have an issue with gluten, you should talk to a professional and get a diagnosis. These kinds of reactions can be caused by sensitivity, intolerance, or even an autoimmune disease such as Celiac. A sensitivity to gluten triggers a reaction when a specific type of antibody attacks gluten protein molecules that leak through the digestive tract due to gut permeability (leaky gut). This causes inflammation and irritation, sometimes even days after ingesting gluten. An intolerance to gluten occurs when a body is missing particular enzymes that are required to break down certain foods. This type of intolerance often affects the digestion of proteins like the gluten in bread or the lactose in milk. The inability to break down certain foods means the body can’t process them properly, resulting in digestive reactions such as nausea or diarrhea, among others. So, what do you do if you can’t handle gluten? Your first step is to identify which foods contain gluten. You’d be surprised at just how many foods contain gluten in some form. Bread, cereal, soups, food coloring, sauces, salad dressings, snacks, beer and other alcoholic drinks all typically contain gluten. It’s important to identify what you can and can’t have. Understanding product labeling will also help you choose the right foods. You’ll soon discover that there are a lot of companies that cater to a gluten-free diet by offering alternatives. Examples such as gluten-free bread, gluten-free pasta made with rice, buckwheat or corn, and gluten-free oat bran are widely available. 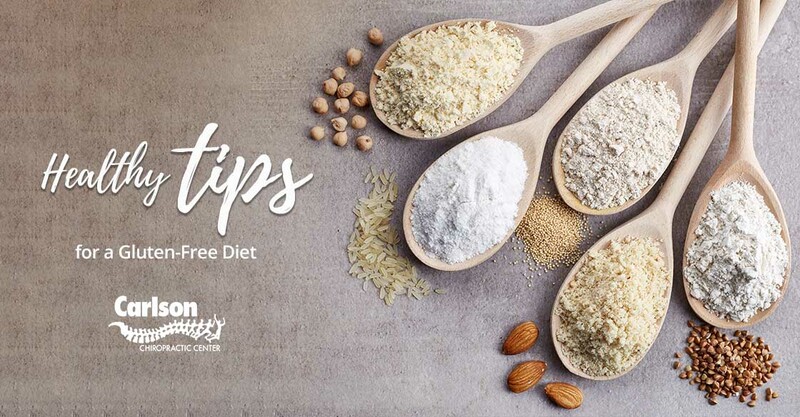 Additionally, gluten-free ingredients for those looking to make their own food are also available in a variety of options: coconut flour, chickpea flour, xanthan gum, rice flakes, almond flour, rice flour, banana flour and rolled oats are just a few examples of the wide selection of alternatives to gluten. Being able to prepare your own food is a big part of cultivating a well-rounded, gluten-free diet. Making your food in advance with meal planning and prep also makes it much easier to have a ready source of tasty allergen-free foods. This means you can avoid trigger foods much more easily. After learning some gluten-free cooking basics, you can get more creative with your healthy meal ideas. Think outside the box by substituting healthy allergen-free foods into recipes you already enjoy. For example, you can make fajitas by using Romaine lettuce in place of tortillas. Invest in some handy slicing gadgets such as a mandoline slicer, and you can use veggies instead of pasta to make healthy, gluten-free dishes with pasta alternatives like zucchini or carrots. Cooking with new recipes is a great way to involve your whole family, especially if you have kids. Using a fun, constructive activity like cooking can teach them more about their own diet and health, along with some valuable life skills. The experts at Carlson Chiropractic can help you discover just how versatile a gluten-free diet can be, with creative and tasty recipes that put a new spin on vegetables. Getting creative with veggies will open you up to a new world of flavorful gluten-free health. 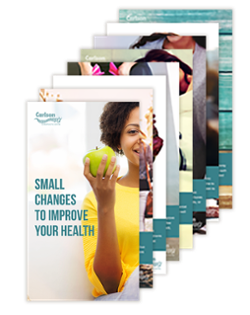 With a little help from Carlson Chiropractic, your new diet will help your digestion and ultimately help you ensure lifelong overall wellness. If you’re struggling to plan a new gluten-free diet, contact Carlson Chiropractic. We don’t just offer physical solutions like manual adjustments, muscle stimulation, and rehabilitation — we also offer helpful health advice. Talk to our team today and start achieving the quality of life you deserve.